“I got the blues thinking of the future, so I left off and made some marmalade. 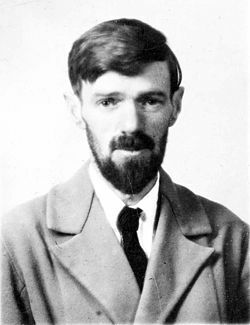 It is hard to imagine the author of “Lady Chatterley’s Lover” cutting up oranges or scrubbing a floor, but I do agree that getting busy at something – any mindless task – gets the mind off of one’s troubles. What do you do when you get the blues? My father would occasionally describe some man as a “jake leg,” followed by the man’s occupation, such as jake-leg lawyer, jake-leg preacher or jake-leg salesman. As a child growing up in south Texas I only knew that it was a man that he held in great contempt and would have run him off the place if he ever came around. He died at age 86 without my ever asking him what it really meant. Years later an article, “Jake Leg,” by Dan Baum in the September 15, 2003 issue of The New Yorker gave me the answer. Jamaica Ginger(nicknamed jake) was a medicinal product (rather like our over-the-counter products today) of the late 19th century touted to cure arthritis, colds, stomach disorders, late menstruation and almost anything else. When the Volstead Act of 1919 brought in Prohibition, it became quite popular because of its cheap price, high alcohol content and availability. Jake was harmless even if it did not cure much of anything expect a thirst for alcohol. It was sold legally almost everywhere, from drug and grocery stores to roadside stands. Since it was cheap and readily available, it became the drink of choice for the down and out and lower classes across the country as hints of the Depression began, especially in the South where blacks had little else they could afford either. The prosperous could always manage to find good illegal liquor. As Prohibition progressed the federal government began cracking down on the product as it became more popular. To get around this a couple of enterprising bootleggers found a chemist who supplied them with a plasticizer, tri-ortho-cresyl-phosphate (TOPC) that was added to fool the inspectors. Soon men who drank this new version of Jamaica Ginger began having paralysis of their legs and sometimes their arms. The legs went rubbery and useless. If they could walk at all, it was with a flopping, struggling gait. In the early 1930s a doctor in Oklahoma City began seeing patients with these symptoms and started a personal investigation. 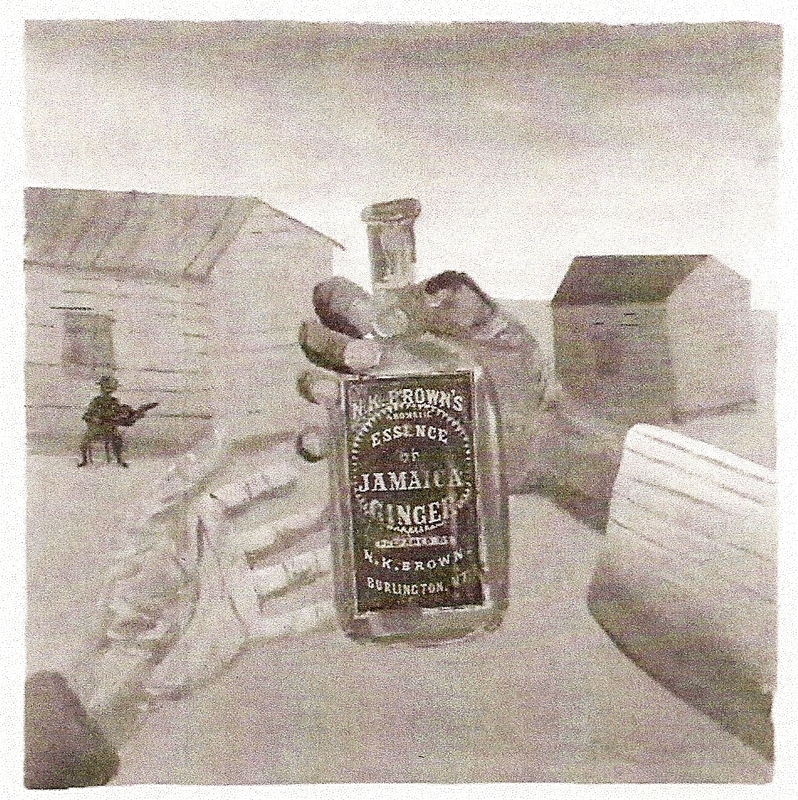 The common thread among the men was their consumption of Jamaica Ginger. Analysis of jake eventually led to the discovery that it contained the harmful TOPC. The TOPC effected the nerve cells, especially those in the spinal area. Some recovered, some did not. Impotence often accompanied the affliction; the distinguishing gait made it almost impossible to hide. The government was able to determine the origin of the bad jake and stop the process and sales. The affected were mainly the poor, but the government seemed to do little to help the men (and a few women) and their families. As Dan Baum wrote, “The jake-leg epidemic broke out during the last golden moments of the Republican Elysium before the full effect of the crash set in when the country was feverishly denying how poor it was getting.” Neither did they receive much sympathy as many thought they only got what they deserved for their behavior. 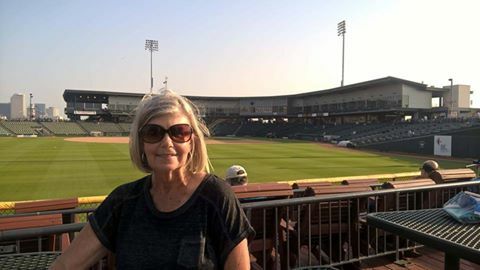 According to Baum, one preacher put it this way, “God is hanging out a red flag as a danger sign to those who violate His law.” Those responsible for the responsible jake got little punishment. Black men with jake-leg were rarely mentioned at the time. Most of the record comes from songs written by black blues musicians during this period and often mentioned jake-leg that confirmed its presence among that group. Loss of a physical love life caused by a “limber leg” was often lamented in the songs. More recently jake -leg was mentioned in the book and movie, Water for Elephants, that was set in the Depression of the 1930s. One of the characters, Camel, who worked as a laborer in the circus came down with jake-leg. Apparently the term also came to mean a person who lacks the skills or training to do a job properly or who is unscrupulous, dishonest or without standards. My father’s use of the epithet, jake-leg, was more derogatory than I knew. He had experienced the Depression as a young man and may have seen some of the debilitating results of the tainted beverage. I wish I had asked him about jake-leg before he died in 1997. There are many things I should have asked him about.